Weekends are usually jam-packed with activities for me. 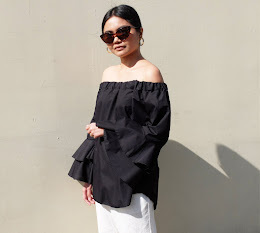 Aside from mundane errands, I have client meetings, preparations for my little girl's first birthday party (still cannot believe she's turning a year old in less than 3 months!) and blog events to go to. Running around the city, rushing from one engagement to another is no easy task so I make sure to dress comfortably while still staying true to my personal style. 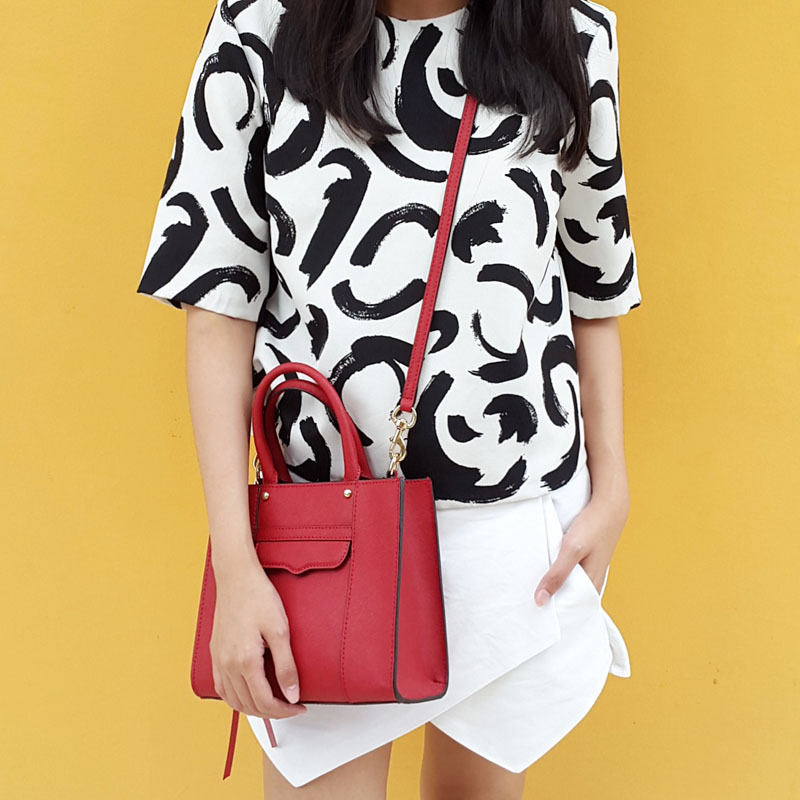 I'm not exactly a t-shirt and jeans type of gal so my staple casual weekend look consists of a printed top paired with high-waisted shorts or culottes. 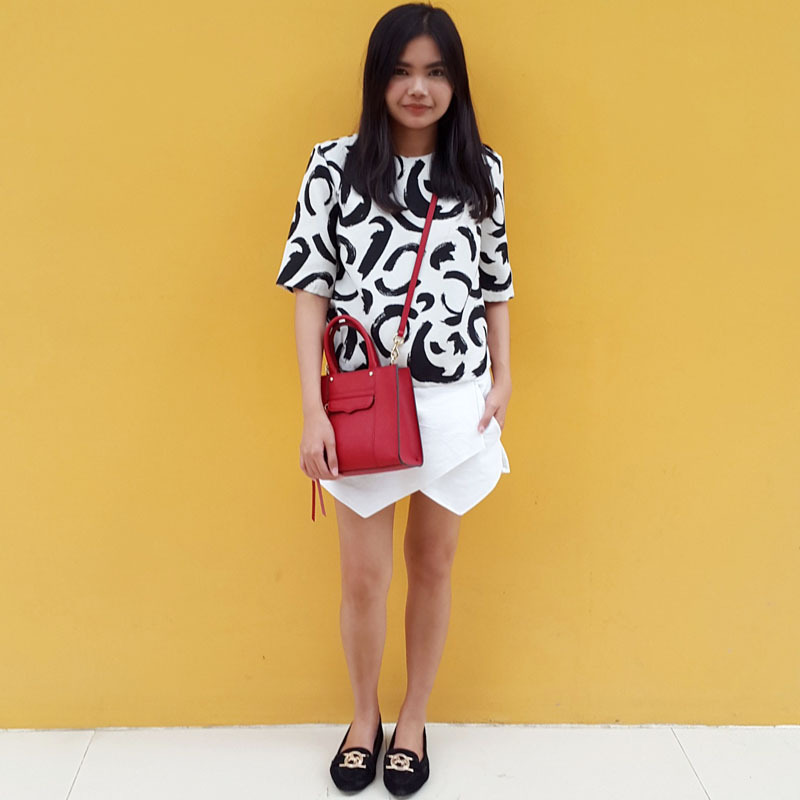 For this particular Saturday, I selected two of my favourite Zara pieces― this graphic black and white boxy top and Summer 2013's IT trend, the origami skort. Since I'm mostly in heels during the week, being able to swap stilettos for comfy loafers on Saturdays and Sundays is always a treat. This black suede medallion pair from Topshop is one of my go-to flat shoe options and looks great with practically anything. 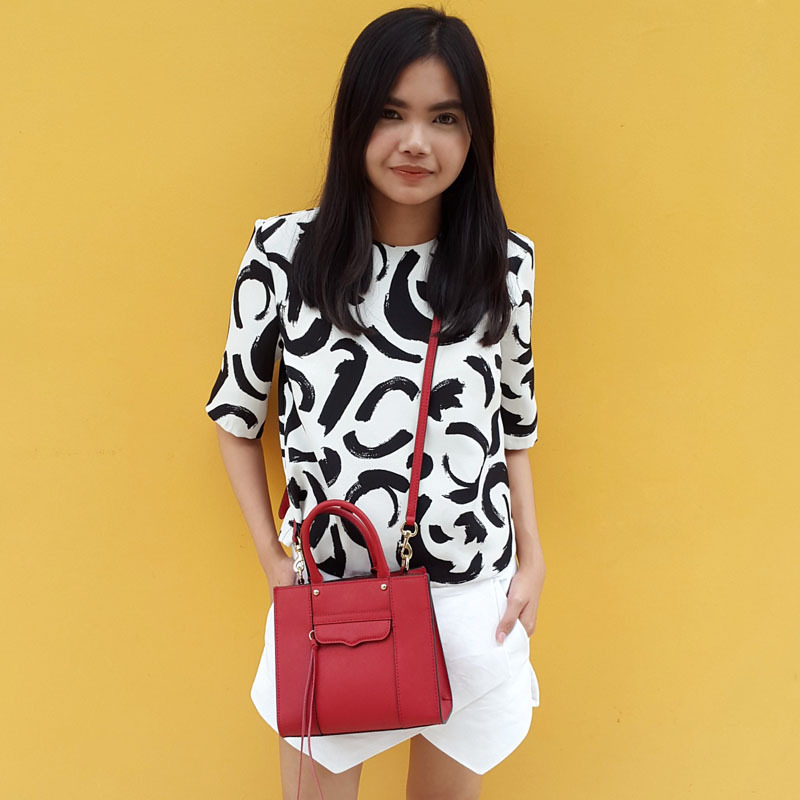 To top off my outfit, this red cross body is my bag of choice as it allows me to be hands-free.